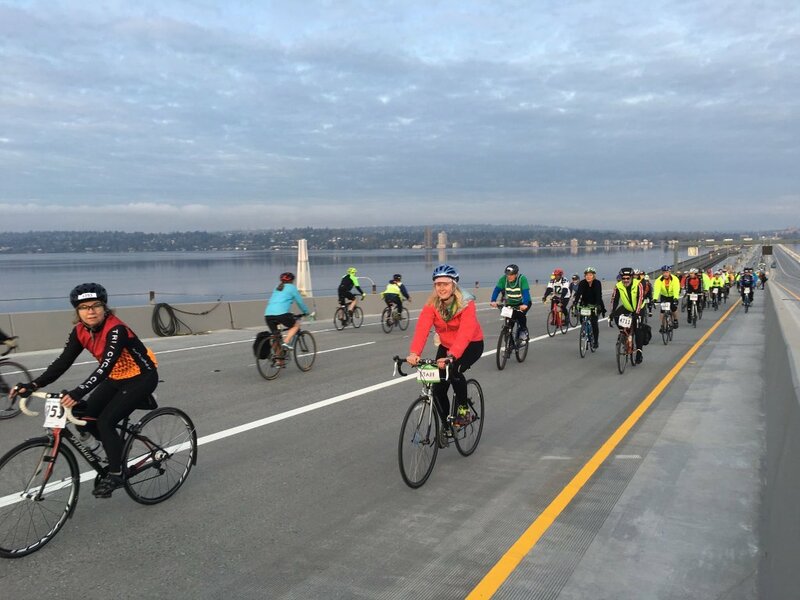 The world's longest floating bridge, the new SR520 link in Seattle, Washington State in the USA was opened to walkers and cyclists for a series of special events last weekend, ahead of the official highway opening. Foot traffic was the first to cross the new 2.3km-long bridge on Saturday after a presentation from Guinness World Records certified it as the world's longest floating highway, and a cycle event was held the following day. The new 520 bridge is nearly twice as wide as the old one - westbound lanes are due to open on 11 April and eastbound on 25 April. The old SR 520 floating bridge is due to be taken apart and removed from the lake by the end of this year. Its pontoons will be towed away and reused for other marine purposes.